When I’m going out for a day of climbing at a crag, I really don’t like wearing socks. The act of sitting in the dirt while trying to keep your feet, climbing shoes, and socks all free from dirt is just not doing it for me. I was really looking for a shoe that I could wear without socks, and is designed to be without socks, but was more stable than a pair of Sanuks, and until Chaco makes a Z/2 with a vibram dot print on the bottom, I’ll have to settle with something else. Enter the Evolv Cruzer. I noticed a co-instructor wearing these and was immediately interested. I picked up a pair before this years season started up and so far so good. The Cruzer maintaining traction on some descents. Build: Weighing in at 7.7oz, this shoe is made fully of canvas with a microfiber lining. The laces are actually a stretchy material so when you tie it once, you can slide it on easily and it expands then contracts to the exact tightness you originally tied it at. The footbed is made with microfiber covered memory foam. 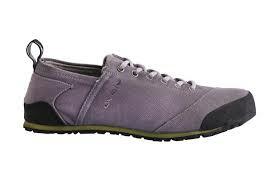 It has a rubber wrapped heel and toe box similar to other approach shoes. The bottom is a continuous piece of Evolv’s TRAX rubber with an edging platform. Performance: I wore these in the New last weekend pretty much the entire time other than actual climbing. As a hiking shoe, it managed the 5-30 minute approaches very nicely. It managed rolling trail and steeper scree very well. Traction was maintained the entire time and not once did I lose footing or feel insecure. 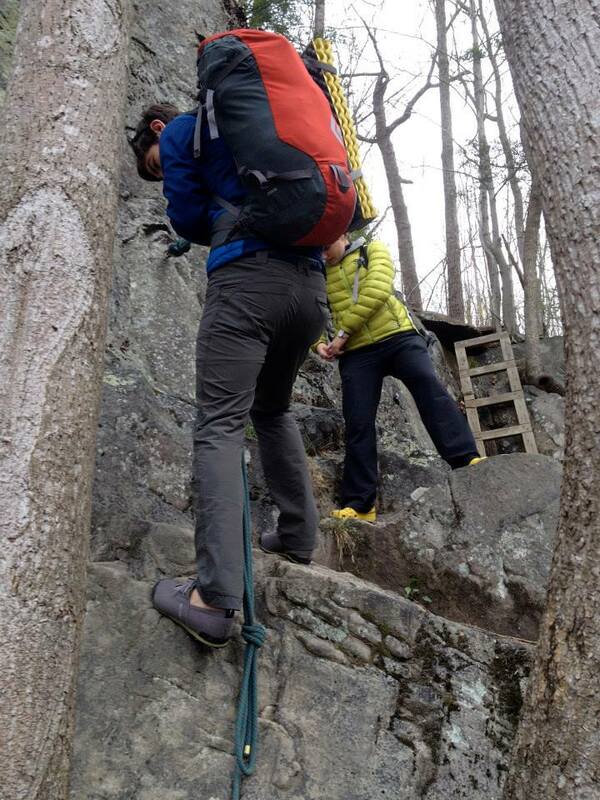 I didn’t climb rock in them, but I really felt that I could handle some east to moderate climbs in them. Previous approach shoes I’ve owned performed well enough to lead 5.8 in North Carolina, and these felt like I could do the same. The have a great feel and fit to them. I can see these being absolutely ideal on long multi-pitch routes. They’d weigh nothing on a harness and are easy enough to slip on for a descent. Fit: These shoes are true to size. 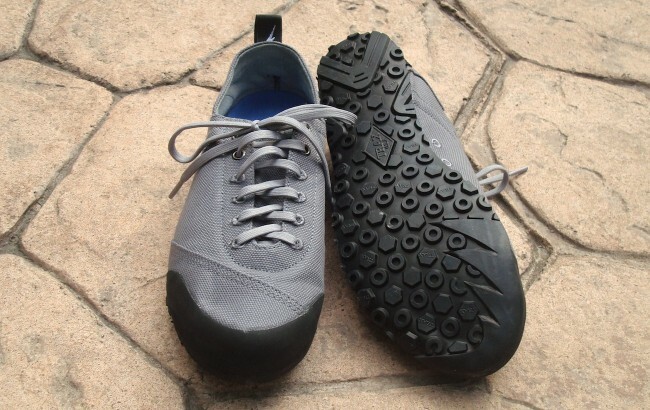 Now when I say true to size, I mean that they fit pretty snug, as a good approach/climbing shoe should. I’ve seen quite a few reviews online saying that they are too tight, but if you’re looking for a shoe to wear mostly casually, that can perform a bit when you need it to, size up. 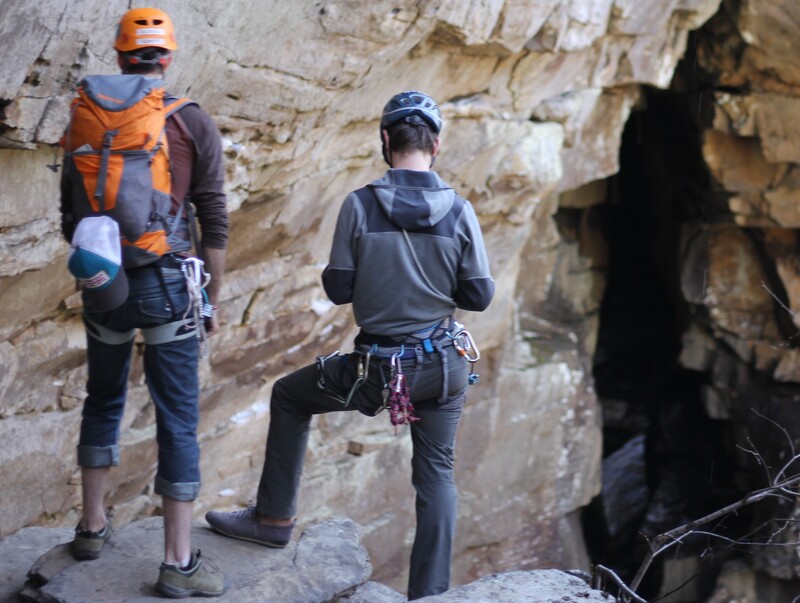 Otherwise the size you are will make this shoe perform to the level it needs to, while maintaining wear-ability outside of a climbing/hiking situation. The Cruzer checking out some good water, reading the guidebook, and looking at climbs that are way out of our league. Overall: After a busy weekend with this shoe, I am thrilled with it. It performed where it needed to and was comfortable all day long. I didn’t worry about socks at all and going from climbing shoe to approach shoe was an easy transition. Very glad I made the purchase and glad to see this kind of shoe on the market. Buy the Evolv Cruzer here for $75, or search the web for deals.